Khalid Al Hussan, CEO of Tadawul, the Saudi stock exchange, talks to Global Finance about reforms that are opening the market to foreign investors ahead of the listing of Saudi Aramco in 2018. Global Finance: Tadawul is the largest stock exchange in the GCC in terms of market capitalization and volume traded. Is Tadawul prepared for a $100 billion Saudi Aramco listing in 2018, as well as the additional $200 billion of privatizations expected under Vision 2030? Al Hussan: Tadawul, in conjunction with the Saudi Arabian Capital Markets Authority (CMA), has made great progress across a range of far-reaching reforms to further align the Saudi capital market with international standards and make it an attractive hub for foreign participation. The capital market reforms and market enhancements that we are undertaking are not only strengthening the overall market’s function but are also enhancing Tadawul’s capacity to accommodate more and larger issuers, attract a deeper global pool of investors and support higher trading volumes. Tadawul is well prepared to fully support the national privatization program, and we expect it to be an important source of listings for Tadawul and to create new opportunities for investors, both domestic and international. GF: Opening the market to foreign investors is also an important part of Vision 2030. Do you plan to further ease restrictions on Qualified Foreign Investors to attract more institutional investors to a market that is now dominated by individual Saudi investors? Al Hussan: The full accessibility of Tadawul to international investors represents a major development in global capital markets and an unprecedented investment opportunity. The Qualified Foreign Investor (QFI) Program was introduced in June 2015 and was recently amended to further ease qualifying criteria and foreign ownership limitations. Since inception, 68 international financial institutions have joined the QFI program. This year, we are aggressively moving forward with a number of initiatives to enhance access, efficiency, corporate governance and transparency. For example, as of January 2017, QFIs can participate in all Saudi domestic IPO offerings. This was undertaken as a measure to provide foreign investors with even greater access to Saudi corporate equity, while at the same time providing our listed companies with yet another source of liquidity. These reforms are further aligning the Saudi capital market with international standards, and are intended to make it more attractive to domestic and foreign investors alike. Throughout this ongoing process, we are actively engaging with both domestic and international institutions to provide more clarity on the reforms underway in the Saudi capital market and obtain investor feedback through roadshows in the US, Europe and Asia, with more to follow. While we believe that the changes and reforms introduced so far have brought the QFI program in line with the requirements of international investors, that consultative process is ongoing and we will consider further appropriate adjustments as needed. GF: Does Tadawul plan to link up with any other stock exchanges as part of its efforts to integrate the Saudi market with the rest of the world? Al Hussan: Alongside our global investor roadshows, we are actively working to build partnerships with exchanges outside of the Middle East. For example, in March, Tadawul signed a Memorandum of Understanding with the Japan Exchange Group to formalize and develop further cooperation between our two exchanges. In April, UK Prime Minister Theresa May attended a meeting organized by Tadawul with key government sectors to discuss enhancing economic relations and explore possible future areas of cooperation between Saudi Arabia and the UK. We plan to continue expanding Tadawul’s relationships with other exchanges and other market participants as part of our full integration into international capital markets. 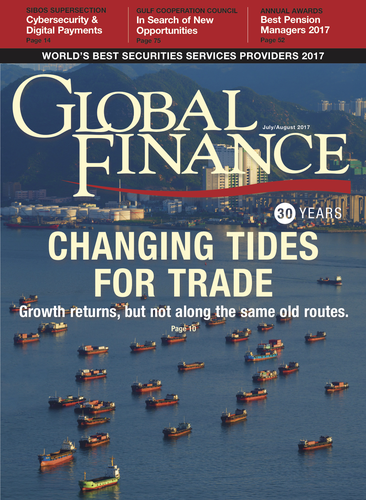 GF: Has Tadawul’s drive to adopt international best practices (such as T+2 settlement and central securities depository) helped to create an environment that is more attractive to institutions? How have securities lending and covered short selling been received? 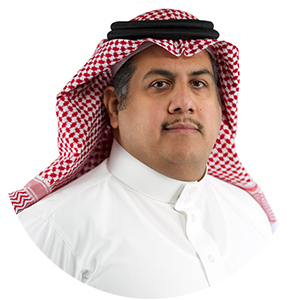 Al Hussan: Tadawul has recently implemented several key reforms to enhance investor safety and access to liquidity, including new corporate governance rules that strengthen the rights of shareholders and Board members, adoption of the Global Industry Classification Standard (GICS), adoption of a T+2 settlement cycle, introduction of a Delivery versus Payment model, securities borrowing and lending, covered short selling for all listed stocks, elimination of the cash prefunding requirement and enhancements to the Independent Custody model. These and other reforms are creating an environment that is more attractive to institutions, as they not only enhance transaction security and efficiency on Tadawul for existing investors but also help communicate to potential QFI program participants that the Saudi market is transparent and modern. GF: The new parallel market, Nomu, provides greater funding opportunities for smaller companies. Will this help to promote growth of entrepreneurship and the non-oil private sector? Al Hussan: The launch of Nomu was a critical milestone in expanding access to the capital market for small and medium-size Saudi companies. As a parallel equity market with lighter listing requirements, Nomu serves as an alternative platform for companies to go public, with investment in this market restricted to Qualified Investors. One of the main objectives for establishing Nomu is to increase diversification opportunities and deepen the capital market by providing an additional source of funding for Saudi SMEs to access capital. GF: Will the listing of REITs boost the Saudi capital markets and promote the development of the real estate sector, which is a goal of the National Transformation Program? Al Hussan: REITs can play an important role in the development of the real estate sector by providing greater liquidity and visibility. They also expand the range of investment opportunities available to investors, further enhancing development of capital markets. Tadawul listed its first REIT in November 2016 and has since grown that number to four listings. New listings, including REITs, and privatizations will reflect the reshaping of the economy and will provide capital to support the growth of Saudi businesses, further diversifying the range of investment opportunities and the development of non-oil sectors, including real estate.